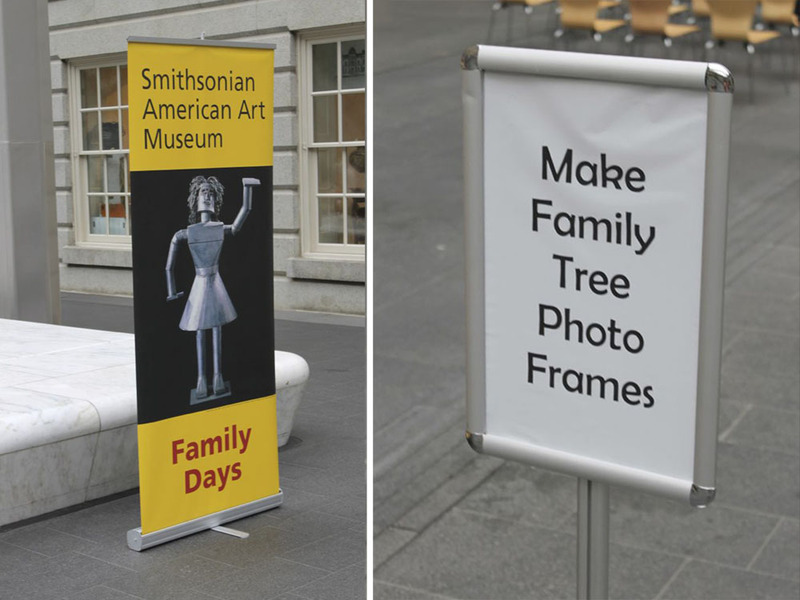 Family Day at the American Art Museum! Lemme tell you about an amazing place called the Smithsonian American Art Museum. Beside the fact that the building is stunning (and my hubby proposed in the Courtyard), this museum puts together the most thoughtful and creative Family Day programming I've ever seen. Family Days occur a handful of times a year and always have different themes, like President's Day, Chinese New Year, Carnaval, etc. I attended the Mother's Day Family Day as an artist on May 10. Here I am, looking cool and popular… see all the people who want to make art with me? …and then got really creative and started shaping the paper into standing photo frames! It was a blast to hang out with families from all around DC and enjoy the day together. There were multiple craft stations, a silhouette area, and a stage for bluegrass performers and two live puppet shows. Such an event! Fun for all ages, indeed! My husband and his brother created their own Mother's Day crafts for my sweet mother-in-law. Moms never grow tired of receiving handmade crafts from their kids! I'm so grateful to the staff of the American Art Museum for inviting me to spend Family Day with them. They are so talented, hardworking, and fun. Whoever gets to have lunch with them every day is pretty darn lucky. Overall, Family Day ROCKS, and I highly recommend finding something like it at a museum near you. I wish I'd been introduced to museums in such an engaging way as a kid. Art wouldn't have felt so stuffy and formal had we been given more chances to talk about it, be near it, and make it. Imagine how enlightened our youngest generation could become with more frequent exposure to the arts! Stepping off my soapbox now. Let me know if you have interest in a family tree of your own!